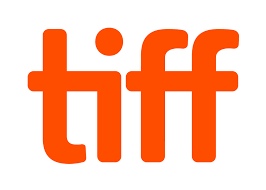 Today, TIFF announced the appointment of Wes Hall and Tawfik Hammoud to its Board of Directors, while also expressing their deepest appreciation to outgoing Board members Helen Burstyn, Rod Phillips, and Wayne Purboo for their unwavering dedication and leadership throughout their time with the TIFF. With accolades like “Most Influential Powerbroker” and “Most Powerful Business Person,” Wes Hall brings more than 20 years of experience in corporate governance and shareholder communications to the TIFF Board of Directors. As a leading proxy solicitation specialist, Hall has provided best-in-class services for some of North America’s largest organizations. Prior to forming Kinsdale Advisors in 2003, Hall worked as a law clerk and corporate secretary for CanWest Global. He was the recipient of the Vice Chancellor’s Award in 2015 and an honorary doctorate from the University of the West Indies in 2017. He has sat on the Board of Directors for many organizations, including SickKids Foundation, Pathways to Education, Capitalize for Kids, and Nickel Creek Platinum Corp (formerly Wellgreen Platinum Ltd). Hall has appeared as an expert spokesperson on BNN and Bloomberg TV, and in The Globe and Mail and The Wall Street Journal. Tawfik Hammoud is the global leader of The Boston Consulting Group’s Principal Investors & Private Equity practice, advising clients on all aspects of business strategy, mergers and acquisitions, corporate finance, operations, and governance. Hammoud has extensive experience working with a wide range of telecommunications and media clients across a variety of topics and geographies. Prior to joining the BCG team, Hammoud held the position of Principal at YTH Capital, and was Co-Founder and VP of Citadon.